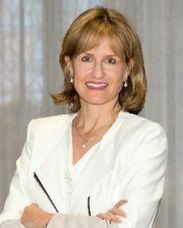 Susan Johnson is the Executive Vice President of Global Connections & Supply Chain for AT&T. In this capacity, she is responsible for AT&T’s international & domestic strategy and partnership development for network connections. She oversees global and national access management, international voice termination, roaming support and tower strategy for the AT&T Radio Access Network. She also leads Supply Chain functions within AT&T Communications supporting the Entertainment Group, Business Services and Technology and Operations. Her team manages strategic sourcing, purchasing, supplier diversity, sustainability, and supply chain logistics. Jointly, her organization is responsible for a spend portfolio of over $70B that covers all of AT&T’s network and goods & services, domestically & internationally. Ms. Johnson began working for AT&T in Corporate Development and over her 20-year career has served in a variety of positions within the AT&T portfolio of companies. Before joining the AT&T family, Ms. Johnson was an investment banker at Smith Barney, Inc. in the San Francisco Technology Group, where she provided a range of financial advisory services to communications and technology clients. Ms. Johnson directed several growth companies through an initial public offering of stock and served as an advisor on merger and acquisition transactions. She also worked in Smith Barney’s New York office as an analyst in the LBO/High Yield Debt area. She holds a Bachelor of Arts in economics from Northwestern University and a Master’s Degree in Business Administration from The Wharton School, University of Pennsylvania. Susan received the 2017 Dallas Business Journal top Women in Business Award.